Lack of confidence busts and bends life and crushes wind pipes. Leap now from deep down…and I know you’ll succeed. 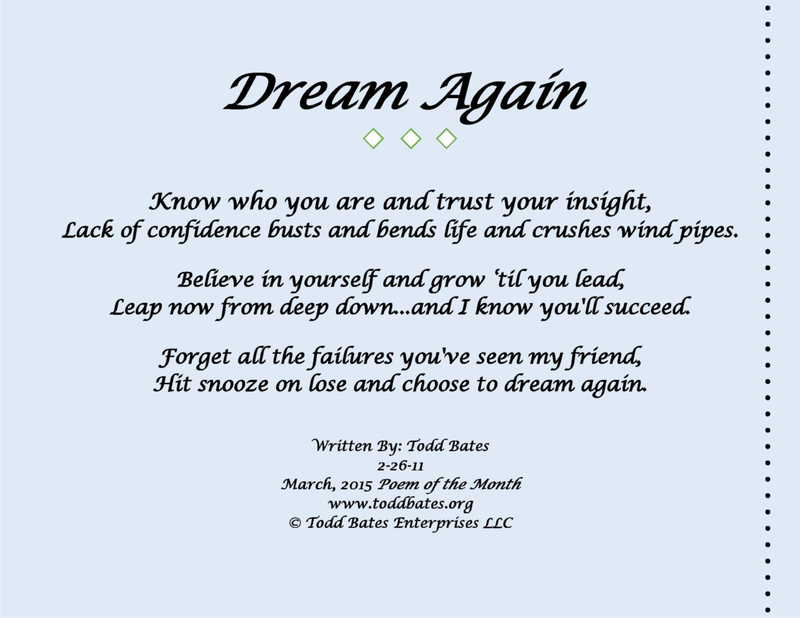 Hit snooze on lose and choose to dream again. if you don’t you really will lose in life. Thanks for reminding all of us.